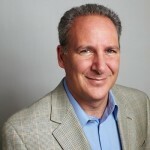 Peter Schiff: We Need More Free Market Capitalism - Wall St. for Main St.Wall St. for Main St.
Jason Burack of Wall St for Main St interviewed returning guest, best selling author, Austrian School Economist, investor and President & CEO of Euro Pacific Capital http://www.europac.com/, Peter Schiff http://www.schiffradio.com/. Peter has over 20 years of experience as a financial professional and is also Chairman of Schiff Goldhttp://schiffgold.com/ and Euro Pacific Bank. His best selling books include: Crash proof, Crash proof 2.0, How an Economy Grows and Why it Crashes, The Real Crash, and The Little Book of Bull Moves in Bear Markets and all these books can be bought on Amazon. During this 30+ minute interview, Jason first asks Peter about deflation and when in financial history have governments allowed it for a prolonged period of time? Peter says that in a fiat currency system with central banking, governments will not allow deflation or free market forces to correct many global imbalances for a long period of time without further intervention. Jason asks Peter about Harry Dent’s views of deflation and Peter says that there will be deflation priced in gold as gold will gain purchasing power against other assets like stocks, real estate, other commodities, etc in the years to come. Next, Jason asks Peter about his newest book, The Real Crash, and why politicians won’t allow wages and prices to fall naturally? Peter says politicians have made lots of campaign promises to get elected and if the economy crashes while they are in office they probably won’t be re-elected. Peter says China is unfairly being blamed for the stock markets going down in the US. After discussing Wall St and the mainstream financial media playing the blame game, Jason asks Peter about gold and what will be the catalysts to drive higher gold and silver prices? Peter thinks there will be a loss of confidence in the Federal Reserve and other central banks and people will abandon government currencies and other assets in favor of gold. Peter talks about his gold and silver backed debit card at Euro Pacific bank and how he has invested in new software and technology to improve the product and how it’s different than Bitgold/Gold Money. To wrap up the interview, Jason asks Peter why many more Americans have read Karl Marx and Keynes instead of Mises, Hayek and Rothbard? Peter says socialism promises people something for nothing and gives adults an excuse to blame others for problems in their lives.